Hello, Friends. 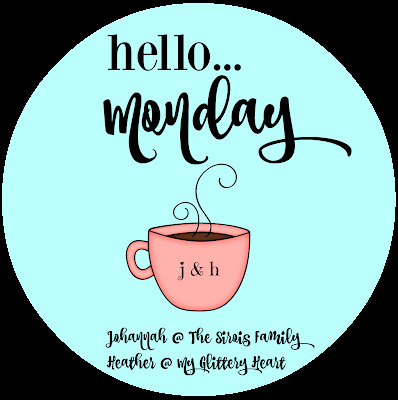 I ended up taking a little unexpected blogging break last week. We have been SUPER busy this past week with the end of the year festivities. Then on Wednesday evening, Ella lost one of her precious classmates. It was been a pretty heart-wrenching week, to say the least. But I am happy to be back and sharing a little bit of our life lately! 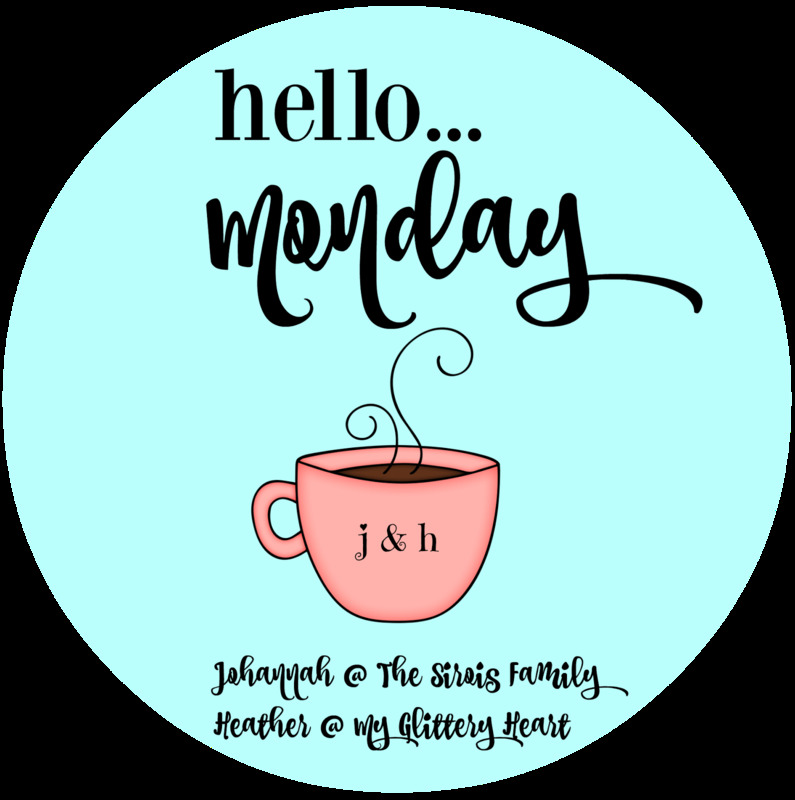 I hope you will grab our graphic and join Johannah and me for Hello Monday! Here is a little bit of our crazy life lately! 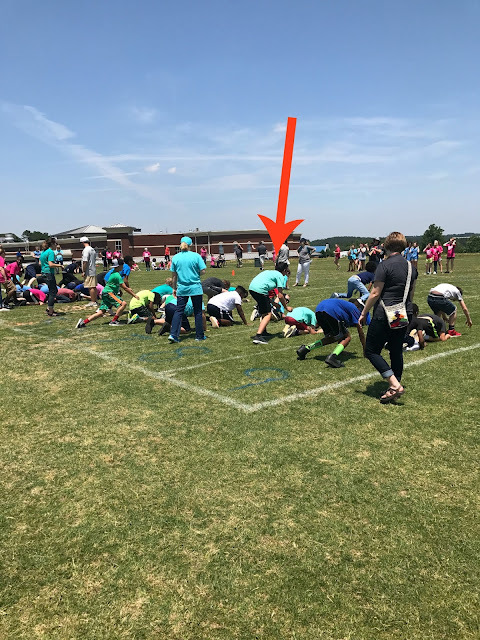 On Wednesday, I helped sell concessions for this kids field day! Wednesday evening, Ella and I planted our garden. Then enjoyed the back deck. Duke was waiting for his daddy to get home! Trixie PASSED out at my feet. Was Ella's schools night at the Gwinnett Braves game. He just LOVES taking pictures with his mama! After the game, the boys headed home and Ella and I headed to KSU to spend the night for her Science Olympiad competetion Saturday morning. Ian had a golf tournament Saturday afternoon, so we divded and conquered! Ian did really good at his tournamaent. He shot a 46 on 9 holes. and of course, I have no pictures to prove it! We had to be on campus at 7:30AM! Ella and John waiting to go in their first event. Sweet girls after their bridge building competetion. We didn't place in any of our events. But we were ok because the kids were super excited to make it to State. It was a great learning experience. NOT! We helped the coaches run the kids back and forth from events all over a college campus! She was really "chatty" on the way home! NOT! Saturday evening, we got home, unpacked, water the plants, and checked on the baby birds. They are getting so big. Ben and Ian brought home mexican for dinner! Yippe! Around 8:45, Ella and I headed to a candle light vigil for the classmate that she lost. It was so awesome to see our community show such amazing support for this family. He was such a special young man. He touched many lives in his short 9 years of life. So we loaded up, hooked up the boat, and were ready to spend the day on the lake. Ben was ready to drop us in the water and the boat would not start. A little disappointed, we headed home and make lemonade out of our lemons! Trixie and I enjoyed a nap! Ella started "Bramlett Diner" and fixied us dinner! She even rolled our silverware! She wrote down my order and even served me. Cutest little server I have ever seen! So Dairy Queen stopped serving Snikers Blizzards because of peanut allergies. Which I TOTALLY understand. However, they were my FAVORITE, so I just started making my own! We spent the rest of the evening on the back porch enjoying time together! The kids and Ben enjoyed the enos. Ian, Ella, and Trixie ran through the sprinkler. I found the bird's nest in the bush by the back deck steps. We have been super busy! But hey, we only have 4 days left of school then we are home free!! Link up below! I can't wait to see what you have to share! How I made my herb garden!